Tribes Overall: "Superb holiday from start to finish"
Guides: "All guides were extremely knowledgeable. Lena was the best at Baines Camp but all excellent." 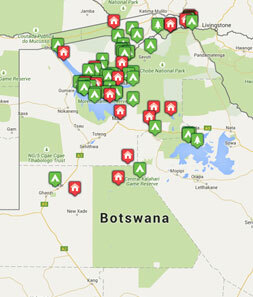 Social & Environmental Responsibility: "People in Zambia and Botswana were all lovely. The staff were all very well trained and provided excellent service"
We loved all the activities, I loved the fishing trip! "Everything from more informal style at Sussi, we could choose what we wanted to do and when, the service at Chilwero and the Bubble Bath for two on the balcony at Baines. The guests were all lovely too and we enjoyed their company throughout our stays at the three lodges, when were on the same game drives."